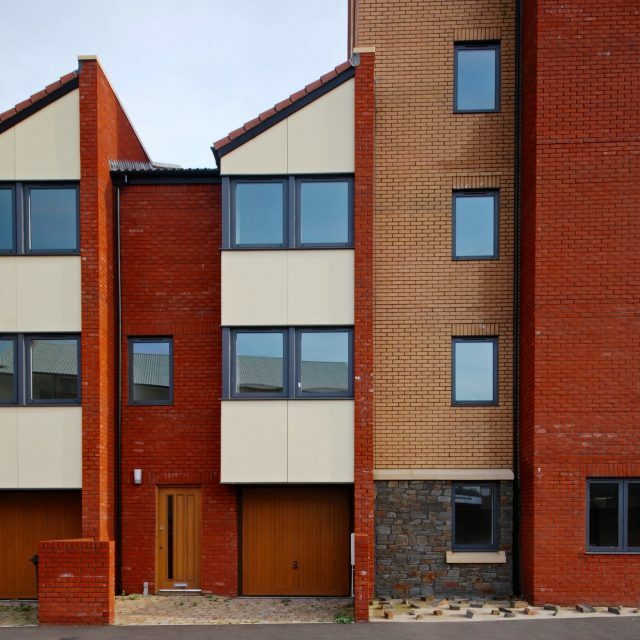 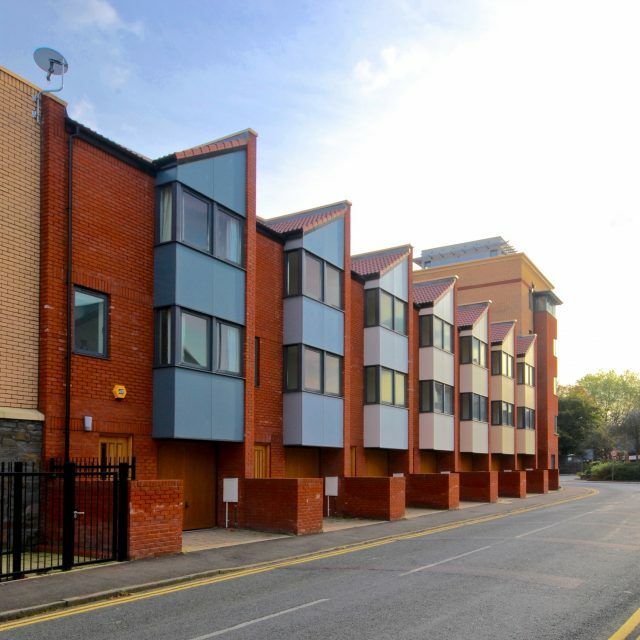 The scheme consists of seven new three storey town houses and a single block of 21 apartments, which replace a disused car park and an assortment of redundant buildings. 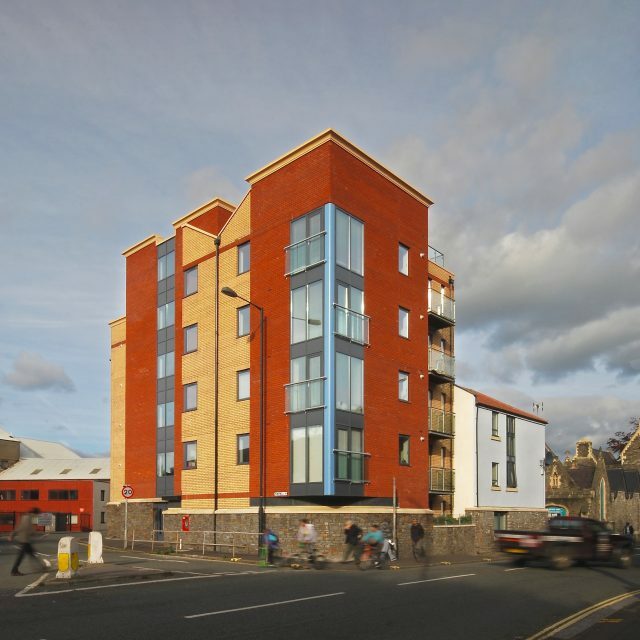 The apartments are distributed over five storeys, and are a mixture of one and two bedroom apartments. 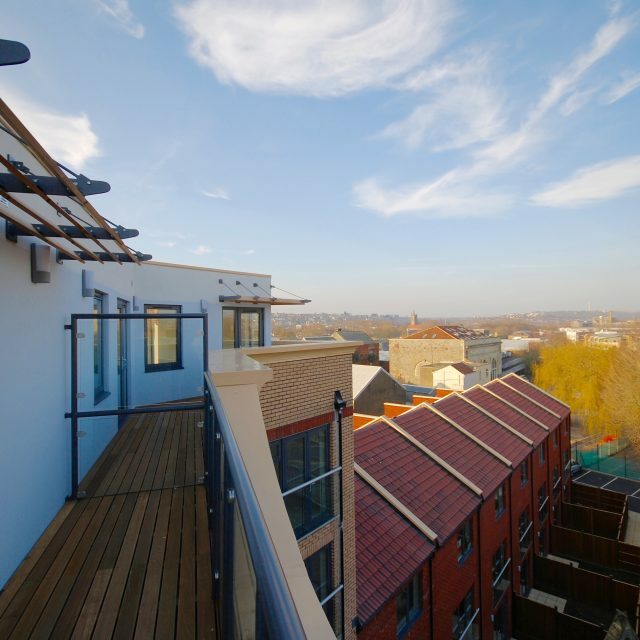 The original planning consent included a full roof terrace over the fourth floor, this was subsequently altered in a further application to include for an additional two bedroom apartments. 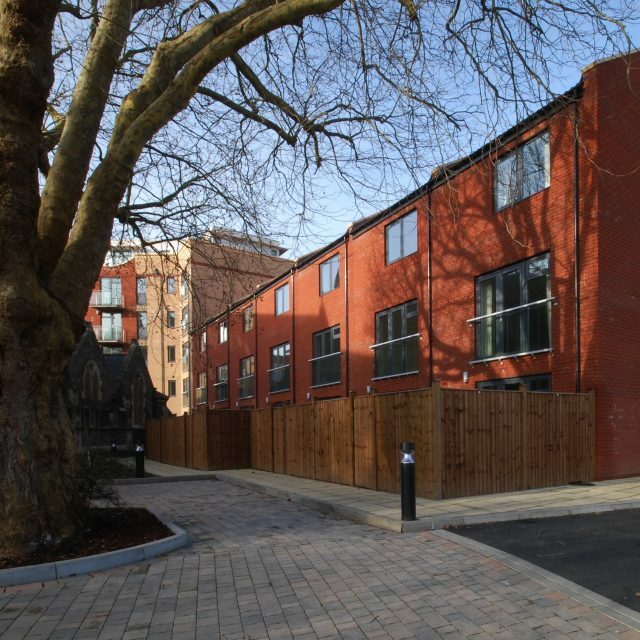 The design had to allow for the access to the church through a communal area, and an existing mature Plane tree to be retained. 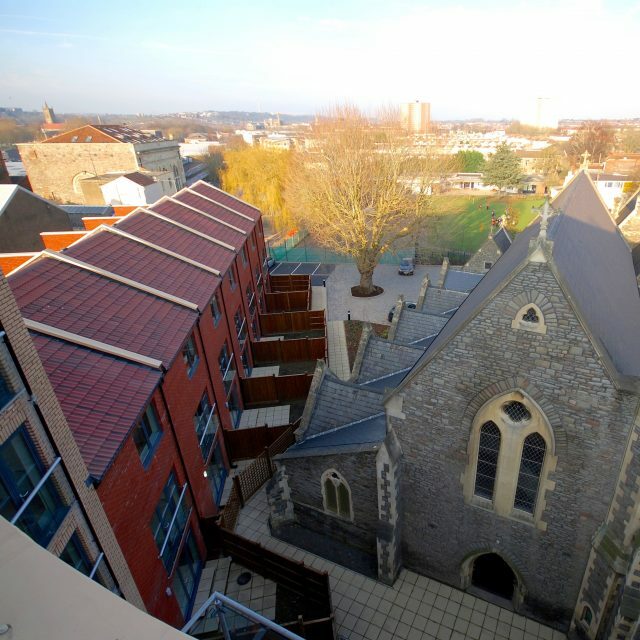 Saints Court received a Bristol Civic Society Environmental Award in 2012.